This review is part of a three-week round-the-world holiday that I paid for using frequent flyer points. 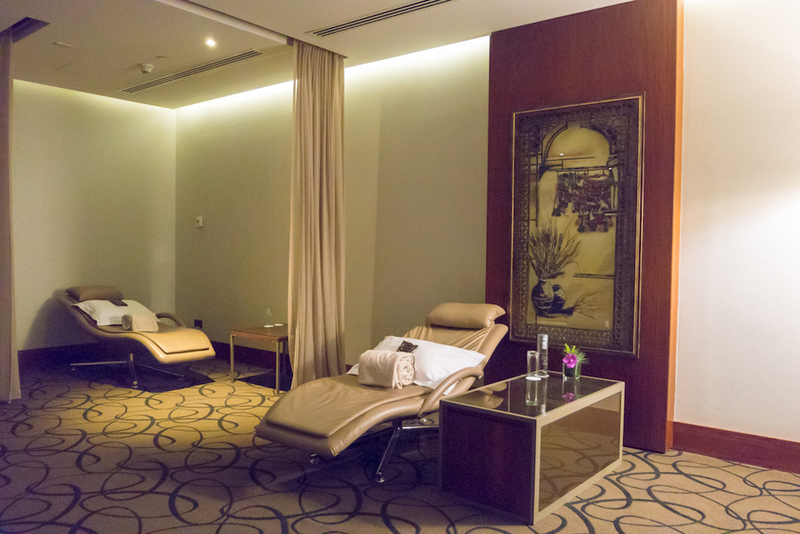 Following an Emirates First Class flight from Toronto to Dubai, my partner and I had a seven-hour layover in Dubai before our First Class flight to the Maldives. 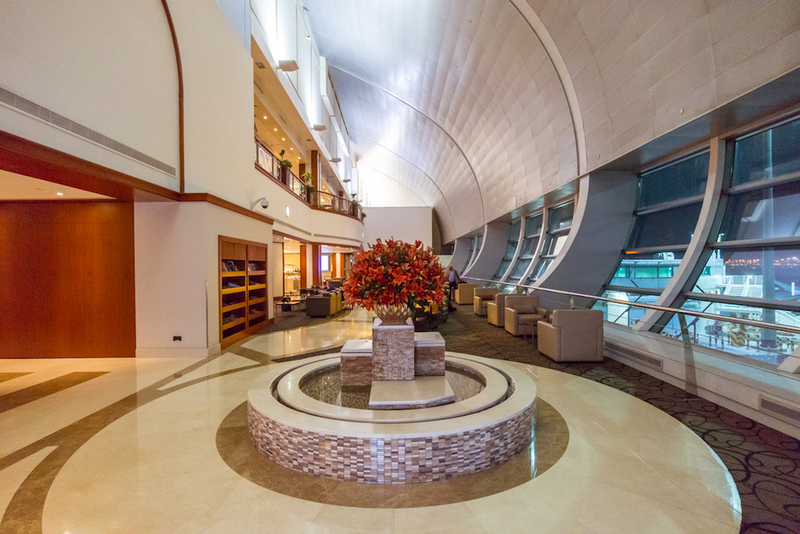 We decided to prioritise sleep over lounge time, so I booked a room at the Dubai International Hotel. 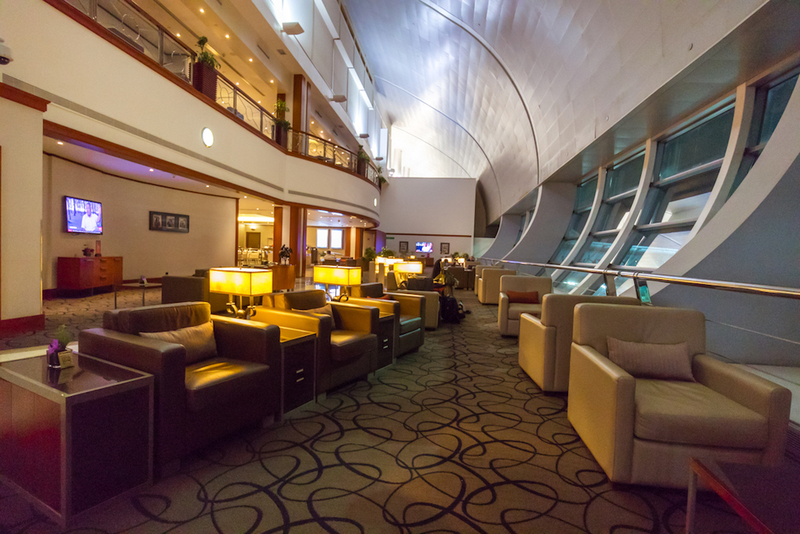 By the time we woke, our onward flight had been allocated gate C7—practically at the very end of the original DXB terminal now labelled Concourse C.
This terminal is the largest by floor space out of any airport in the world. 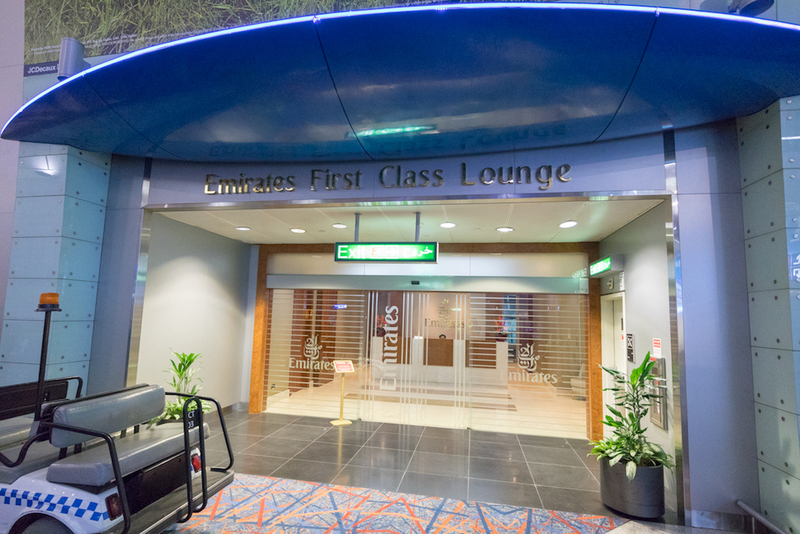 Concourse C was opened in 2000 and was originally part of Terminal 1, however, since 2016 it has served as Emirates’ Terminal 3. 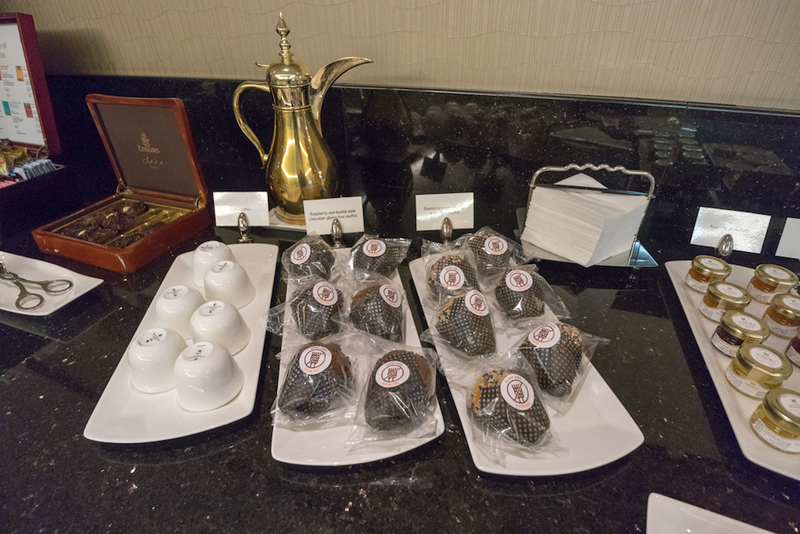 This Emirates First Class lounge is the oldest and smallest of the three First Class lounges in Dubai. It is open 24 hours a day. 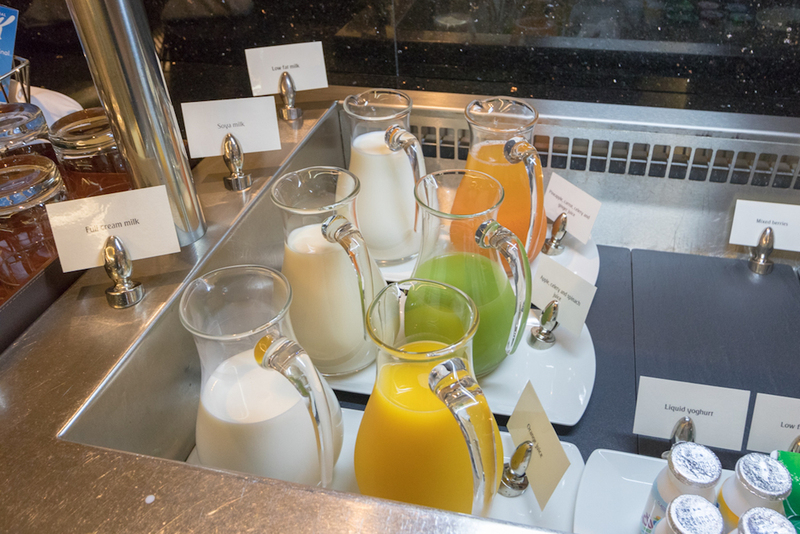 The lounge spans over two levels and offers sit-down dining, showers, self-serve alcohol stations, free wifi and a sleeping room. 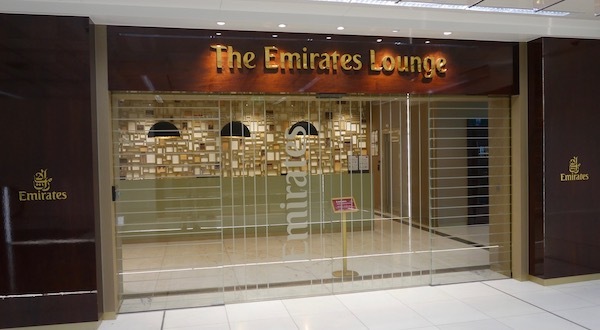 The Emirates Concourse C lounge is located by gate C23. 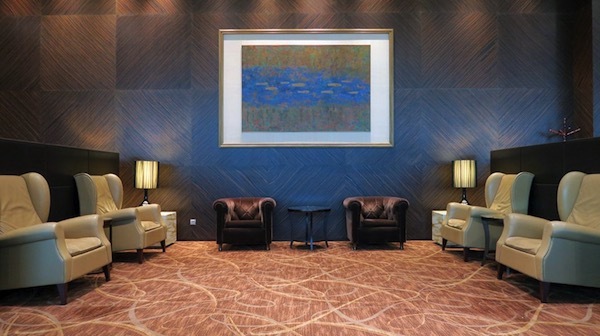 Passing through the small reception area with low ceilings, you step into the lounge and your eyes are instantly drawn upwards to admire the high ceiling. 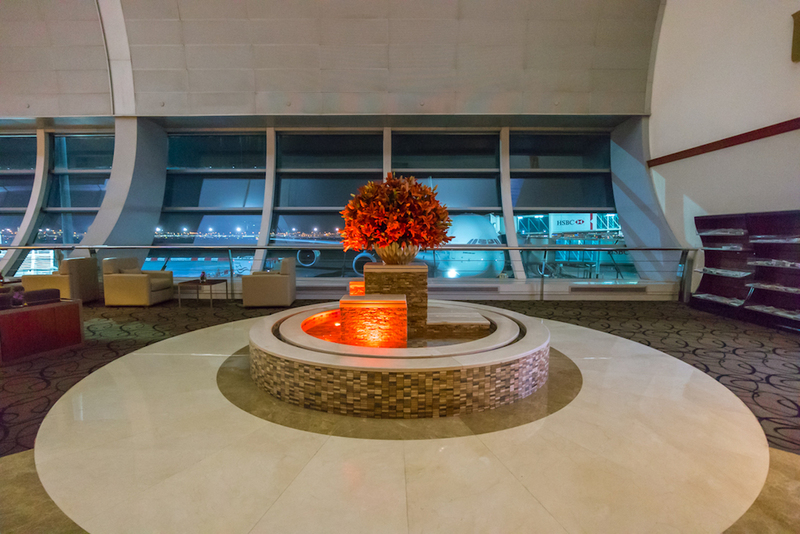 A water feature sits in the middle of the lounge lobby and enormous windows provide excellent views out to the apron, where an A380 was parked at the time of our visit. 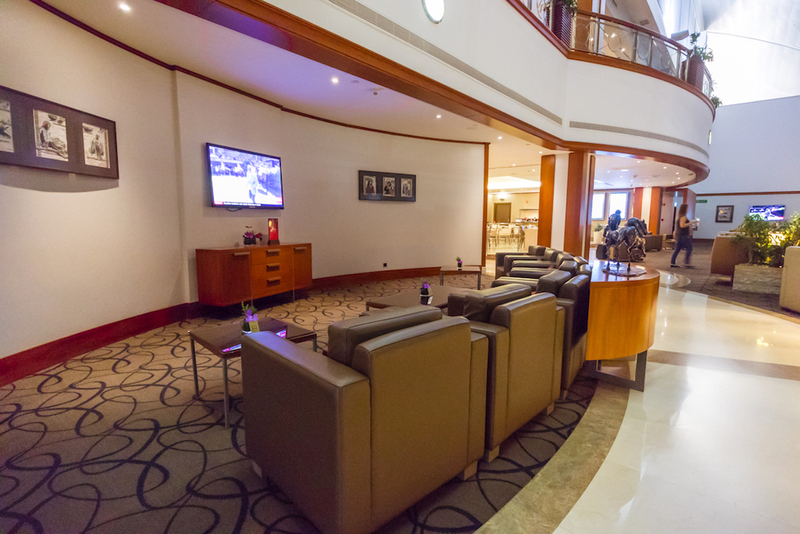 There is a large selection of magazines and newspapers on either side of the lobby area for you to read before your flight. 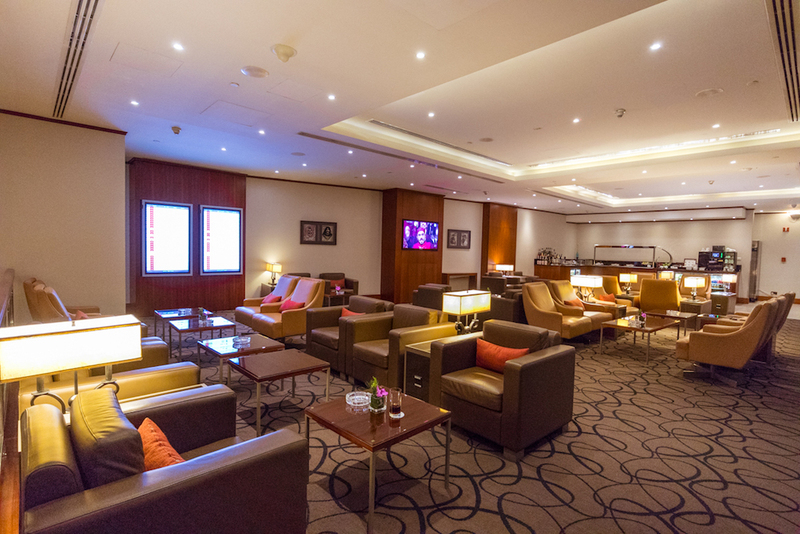 The lounge is decked-out in Emirates’ standard beige and brown colour palette, with lounge chairs located across both two levels. 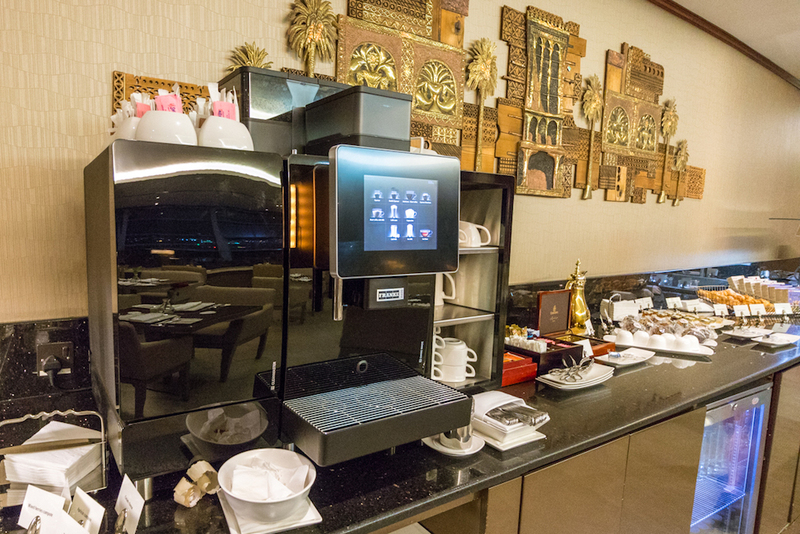 Power adapters are located in the tables for easy device charging. 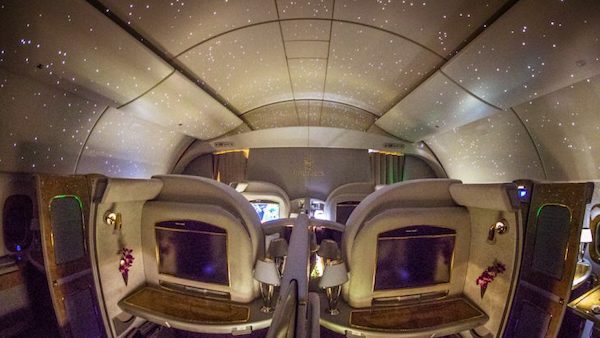 At 2am, there were only two other passengers in the lounge. 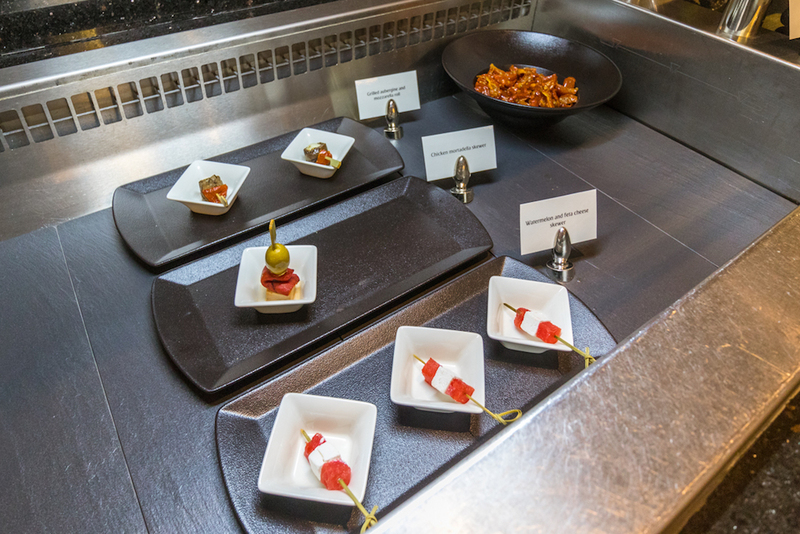 There is a buffet on the lower level with a large selection of hot and cold dishes and a smaller buffet on the mezzanine level. 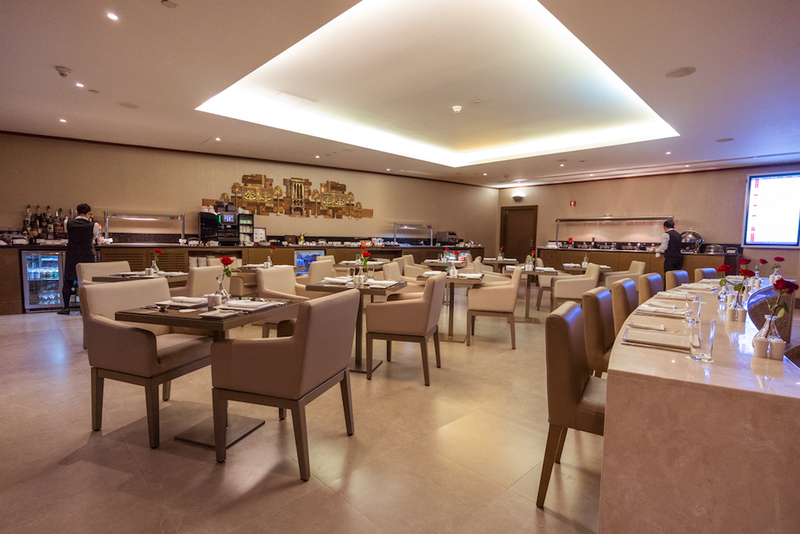 Dining tables and chairs are located on both levels. 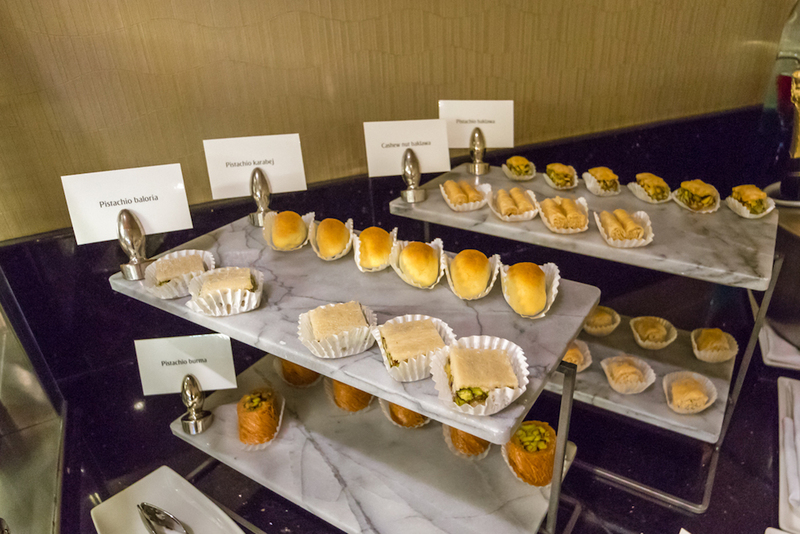 I didn’t sample any of the food considering I had just woke up and it was only 2am local time. 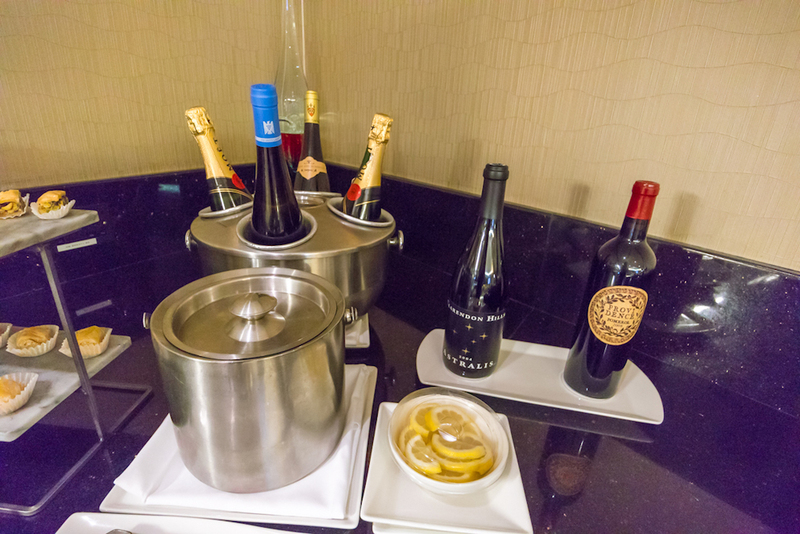 Alcohol is self-serve and a waiter was roaming the lounge offering Moët champagne to guests. I decided not to fill up on it knowing there was a bottle of Dom Pérignon waiting for me onboard my flight. There is a large sleeping room on the mezzanine, with privacy curtains around the recliner chairs. 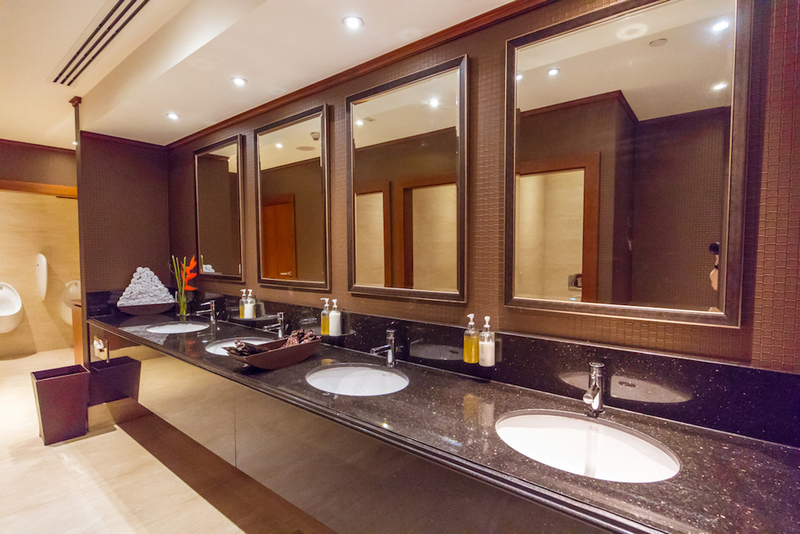 Showers are available in the bathrooms on the mezzanine level. 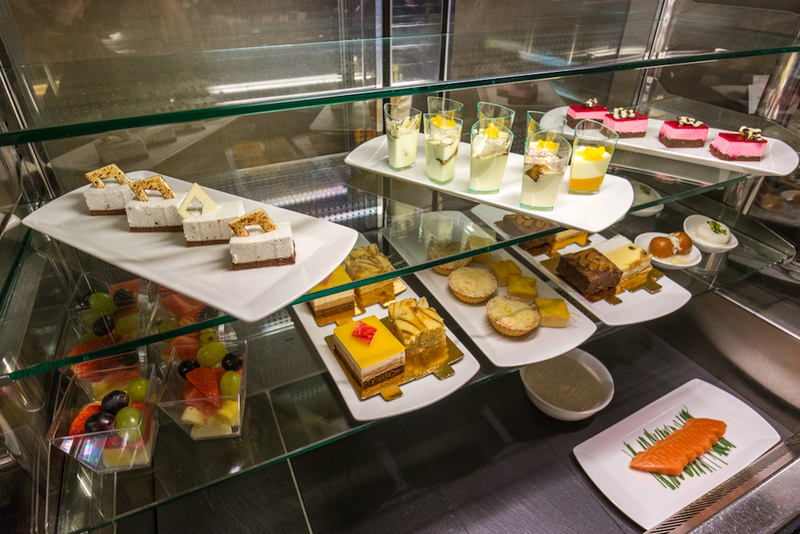 There are no spa facilities like in the First Class lounges in Concourses A and B. 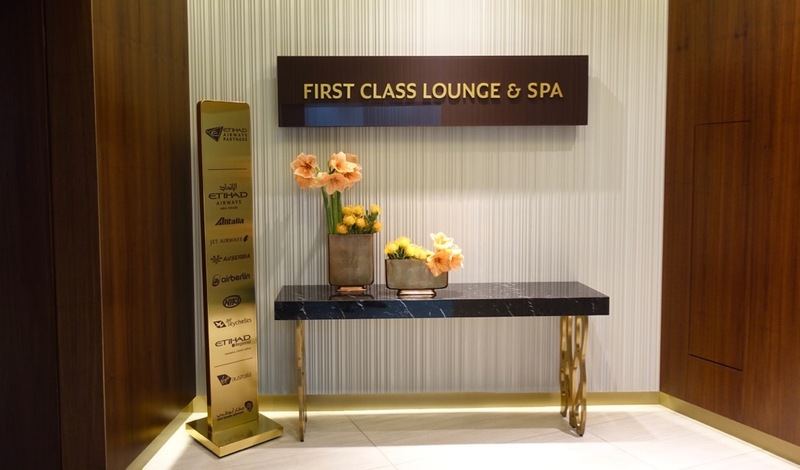 Overall, the Emirates Concourse C First Class lounge does not live up to the ‘First Class’ name on the sign nor the inbound Emirates First Class A380 experience. 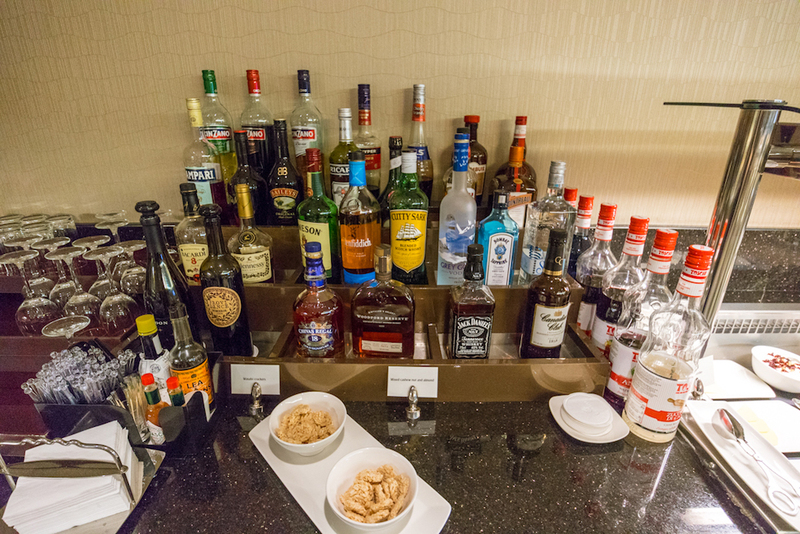 It feels more like a premium Business Class lounge. 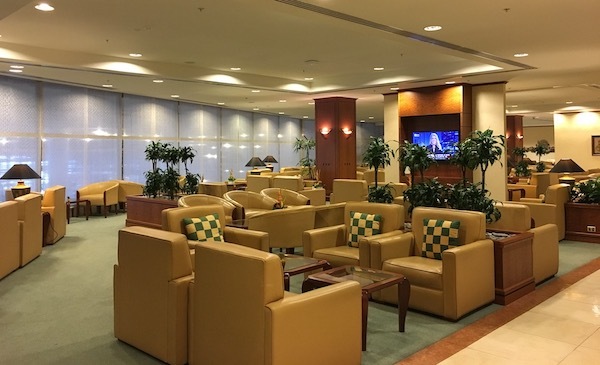 It isn’t a lounge you would actively plan to arrive at the airport super early to enjoy but a pleasant and quiet place to spend an hour or so before your flight. I agree with your comments. 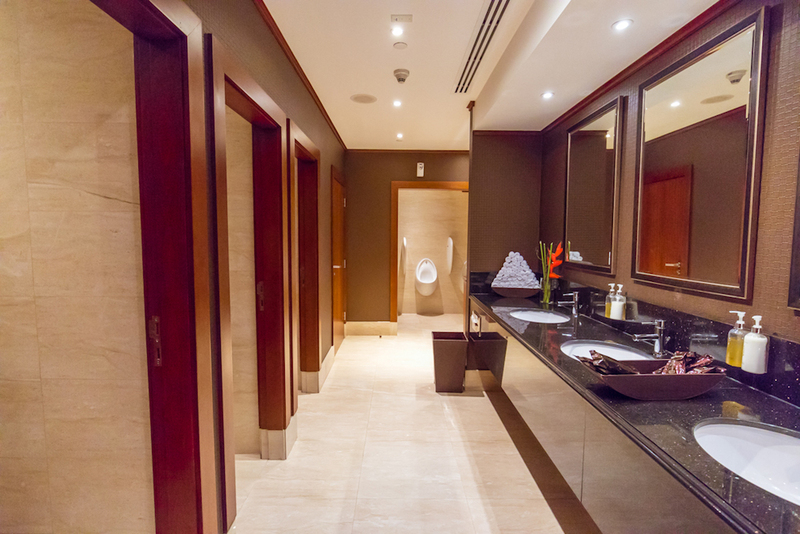 The ladies showers are also way below standard. 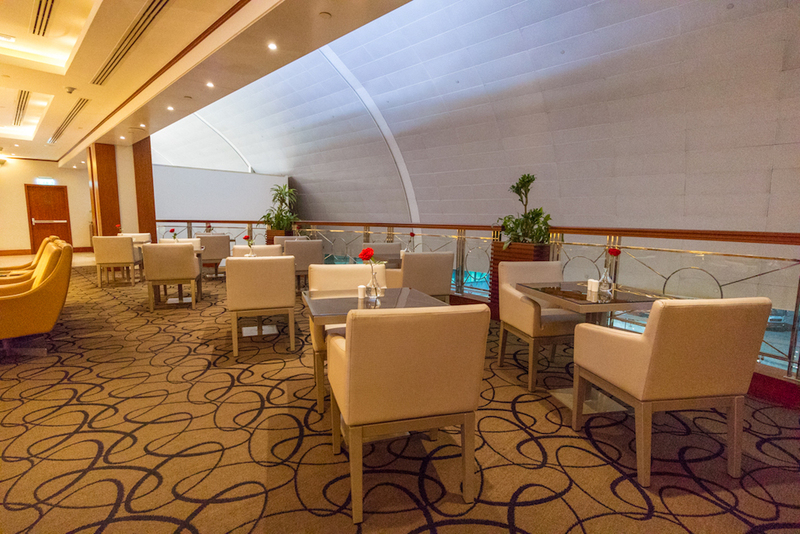 Looking at your photos of the Emirates lounge in DU BAI as far as I know is a class above the Emirates lounge in Melbourne. But unlike you myself i haven’t been around the world and doing it at such a young age gives you every right to comment the way you do. I love flying but Australia and New Zealand are my limits. 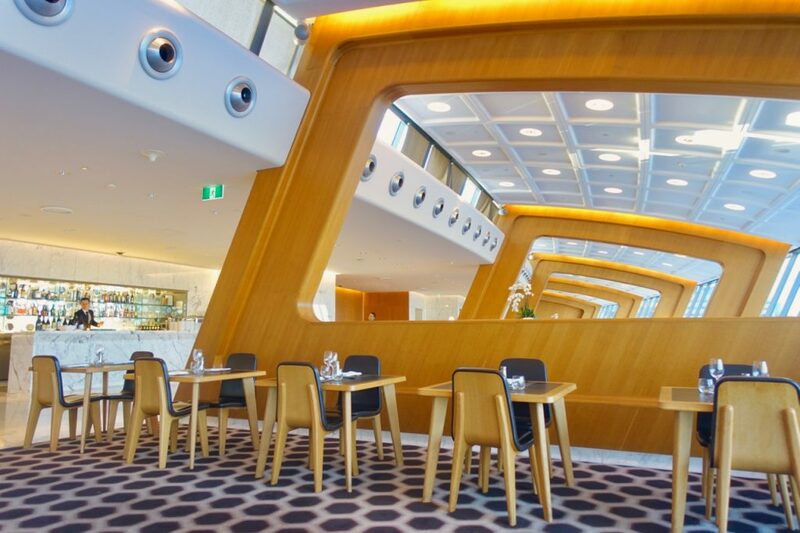 Greg have you been to qantas first class lounge? To have that. 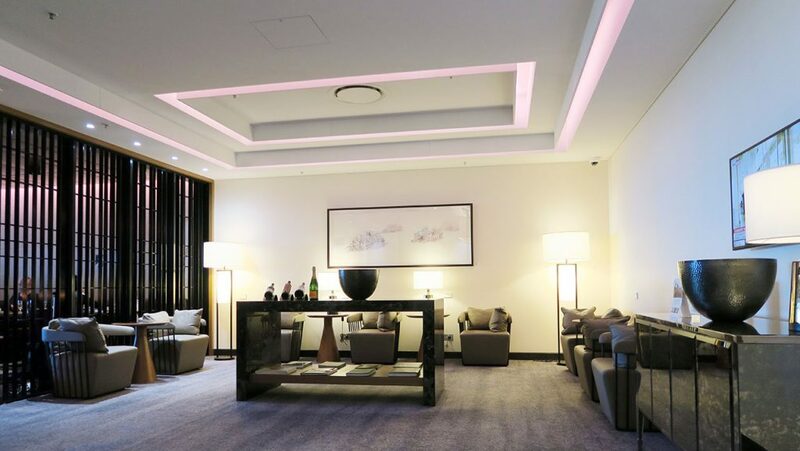 The lounge wasn’t worth going to but overall Auckland airport sucked big time.